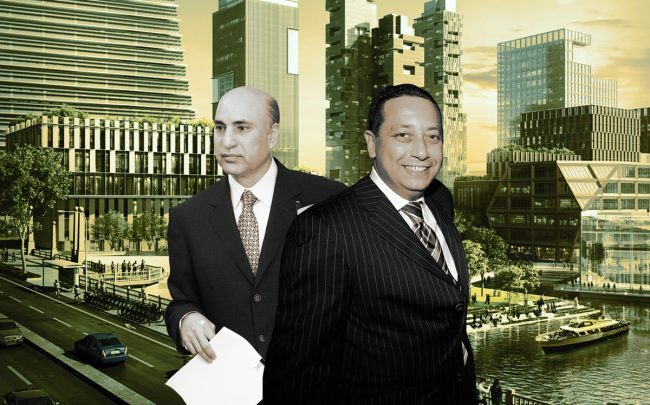 Former Trump Organization associate Felix Sater tried to buy the site now eyed for Related Midwest’s The 78 megadevelopment, but couldn’t convince disgraced political fixer Tony Rezko to sell the land. Sater is the Russian-born developer whose Bayrock Group helped finance the Trump SoHo hotel in Manhattan. In the early 2000s, he offered $175 million for the 62-acre riverfront site in the South Loop, former Rezko business partner Daniel Mahru told the Chicago Sun-Times. The price would have represented a $50 million profit for Mahru and Rezko, but Rezko rejected the deal, according to the report. Rezko would later be sentenced to 8 years in federal prison for his role in a political corruption scandal. Mahru later spent 3 years on probation after pleading guilty to wire fraud. The negotiations occurred while Sater was a cooperating witness with the federal government. He had been indicted on charges of stock manipulation and money-laundering, and began cooperating with authorities. Sater was sentenced to probation in 2009. Rezko and Mahru acquired The 78 site along the South Branch of the Chicago River in February 2002 for $72.3 million, according to the Sun-Times. Rezko bought out Mahru in 2004, and sold the property a year later for $65 million to Nadhmi Auchi. The Iraqi billionaire was convicted of accepting illegal commissions in an oil deal in France. Auchi still owns the 62-acre site, which is being developed by Related.